Stokenchurch, Lane End, Downley and West Wycombe. Stokenchurch is a village with a population of approximately 5000. The main parish of Stokenchurch is mainly residential with a small amount of light industry and areas for small business. There are several smaller hamlets to the east of the main village including Studley Green, Beacons Bottom, Horsleys Green and Water End. The M40 runs through the centre of the parish, making London, Oxford and the Midlands very accessible. 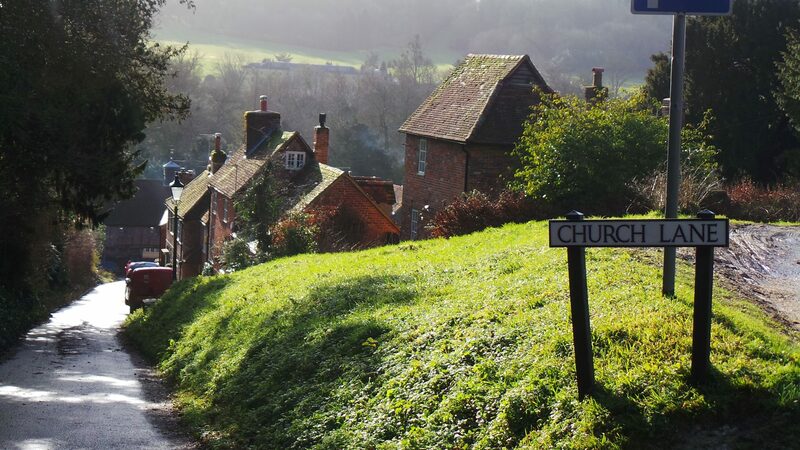 Lane End parish sits high in The Chiltern Hills, an area rightly designated as one of “Outstanding Natural Beauty”. Much of the parish comprises beautiful commons, lovely woodland and extensive farmland. Within these are a number of hamlets. West Wycombe is a small village situated three miles west of High Wycome along the A40.This is an historic village which offers a variety of tourist attractions such as West Wycombe Park, West Wycombe Caves, The Mausoleum and Golden Ball at the top of West Wycombe Hill overlooking West Wycombe Village. Downley is a village and civil parish in the High Wycombe district. It overlooks High Wycombe and is high in the Chiltern Hills. 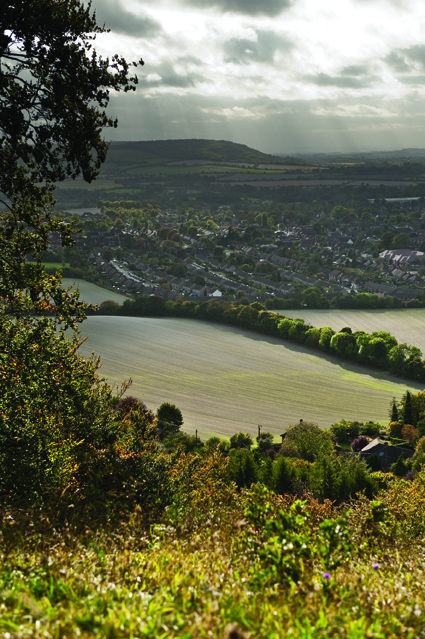 The central part of the parish is the common and is part of the Chilterns Area of outstanding Beauty. Chiltern View ( The Villages) is also delivered to Radnage, Ibstone, Cadmore End, Piddington, Studley Green, Bledlow Ridge, Aston Rowant, Lewknor and Bradenham. Within these areas, there are a good variety of shops and businesses and excellent Schools, Doctors, Churches and an abundance of social and sporting activities for young and old alike. There are a number of dedicated volunteers, running a variety of groups for the community. There is a wide range of pubs and restaurants and the impressive Kings Hotel which caters for a wide variety of events. At 700 feet, Stokenchurch is one of the highest villages on the recently designated ‘Chiltern Way’. It boasts one of the densest populations of red kites in Europe. As a result the area attracts walkers, countryside lovers and wild life enthusiasts from far and wide. Over the years Princes Risborough has had some wonderful shops and shopkeepers to supplement all the activities available to the population. In this lovely small town at the heart of the Chilterns, the shops have always been the hub of the community and encouragingly there are new people coming in looking to start new businesses. Situated half way between Aylesbury and High Wycombe, and with excellent rail and road links and good parking facilities, it is a growing town with newcomers arriving all the time, creating new opportunities. There are very good Schools, Doctors, and Churches and an abundance of social and sporting activities for young and old alike. Princes Risborough has always been blessed with an army of dedicated volunteers, running a variety of groups. Of course, not everything is perfect, and there is always room for improvement, but they have a very hard-working and responsible Town Council who spend their time looking at how to improve the amenities and the lifestyle of the residents. No stone is left unturned in trying new ideas and new ventures and they now have a popular market each week, with another growing Sunday Market once a month. A new very popular local bus service has been a success and brings in visitors from outlying villages to share in the facilities. Without a doubt, Princes Risborough is a good place to live. Above all it encourages newcomers to join in with all aspects of life in the town, a town at the heart of the Chiltern Hills. The new areas we are adding to our delivery area include Speen, home to The Horses Trust and a popular tourist attraction. It is just a couple of miles outside of Risborough and The King William Pub, village store/post office and The Old Plow restaurant all make this a popular place to live and visit. Other delivery areas all within close distance of Risborough include Lacey Green, Loosley Row, Great Kimble, Little Kimble, Longwick, Bledlow and Henton. We are also now covering Chinnor, home to Chinnor F.C. St. Andrews church, a variety of pubs and shops, two primary schools and Chinnor and Princes Risborough Railway. It is an ideal place to live as five minutes drive to the M40 and easy access to London or Birmingham. There is a dedicated Parish Council and a strong community base. Thame is a thriving and historic Oxfordshire market town with an attractive and well-maintained town centre that boasts many award-winning and unique shops. Local retailers offer top quality, excellent service and also excellent value for money. There are ample free car parking spaces and many wonderful restaurants, cafes and pubs which makes visiting Thame a real treat. Visit the Thame pages of the South Oxfordshire District Council tourism website at www.visitthame.co.uk which contain details of accommodation and attractions for visitors to the district. There are a wide variety of buildings with historical and architectural interest with thatched cottages and timber framed buildings blending with Georgian and Victorian buildings. There is a wealth of historic houses and gardens nearby. Thame is a “living” market town, with a street market every Tuesday, a farmers’ market on the second Tuesday of each month and regular livestock markets. The town is ideal for family shopping and gift ideas with family-run establishments and an interesting variety of non-chain store shops offering a friendly personal service. Thame has many places to eat and drink, ranging from traditional English pubs selling real ale and pub lunches through Italian, Chinese and Indian restaurants back to Olde English tea shops selling cream teas. Any of these would make an ideal rest from sightseeing or shopping. Thame is ideally situated to enjoy the beauty and tranquillity of the Thames and Chilterns area. The Town has its own Local Nature Reserve, Cuttle Brook Nature Reserve, where a quiet walk and, perhaps, a picnic can be enjoyed. 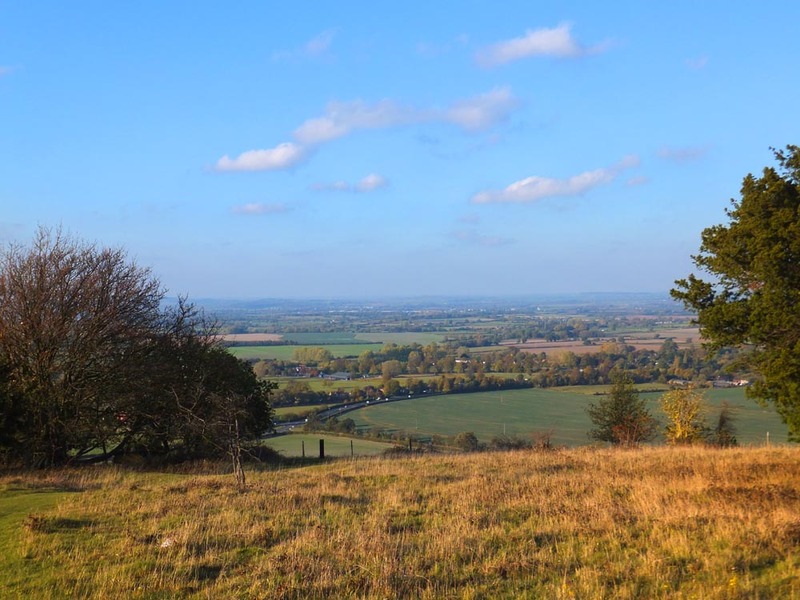 There are many public footpaths, including the Chiltern Hills with the Ridgeway Path and the Oxfordshire Way where outstanding views of the surrounding area can be enjoyed. The Phoenix Trail between Thame and Princes Risborough provides an amenity for walkers, cyclists and horse riders. Adding to our delivery areas are Tetsworth, Postcombe, Towersey, Tiddington and Moreton. As well as these areas, we are now also covering Long Crendon, just two miles outside Thame with a number of pubs and restaurants plus many community organisations.